1 LOVELY LAKE: Local residents are invited to help keep Lake Mead National Recreation Area pristine by participating in the Great American Cleanup, which is part of the Keep America Beautiful campaign. This year’s event, to be held Saturday, marks the cleanup’s 20th anniversary. Advance registration is requested. Contact Rhin at 702-293-8711 or email LAKE_Volunteer_Coordinator@nps.gov for more information. All makes and models of Volkswagens will be on display Saturday at Wilbur Square Park for the annual VWs Invade the Dam car show. 2 VW INVASION: Bugs, Rabbits, Tiguans and other types of Volkswagens will be among the vehicles on display for the annual VWs Invade the Dam car show to be held from 8 a.m. to 3 p.m. Saturday at Wilbur Square Park, 200 Park St. There will be a swap meet, parts, music and more. 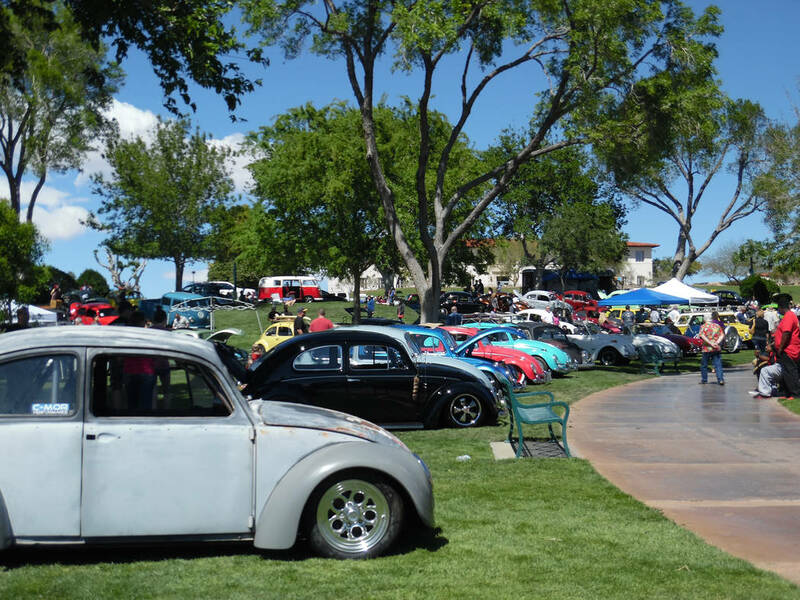 The Boulder City Cruisin’ Association and Findlay Volkswagen Henderson are sponsoring the show. 3 MADE TO ROCK: Casey Stickley, front man for Second Echo, will perform at 7 p.m. Saturday at Boulder Dam Brewing Co. Influenced by bands such as Pearl Jam, Soundgarden and Alice in Chains, Stickley’s music is driven by his guitar and rock ‘n’ roll. There is no cover charge. The brewpub is at 453 Nevada Way. Call 702-243-2739 or visit www.boulderdambrewing.com for more information.